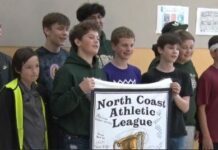 MCKINLEYVILLE – Two local high school basketball players are headed to Hungary to give back. 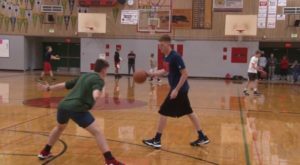 Theodore Wade and AJ Stubbs of McKinleyville High School will be going overseas to play basketball, coach clinics, and pass out shoes to those in need. On the court Theodore and AJ are competitive but off the court they’re real life friends who are excited for their trip. The boys are raising money for their trip on GoFundMe.